CLEMENTON, N.J. -- Police are still searching for a disabled man who went missing in Clementon, New Jersey on Wednesday. 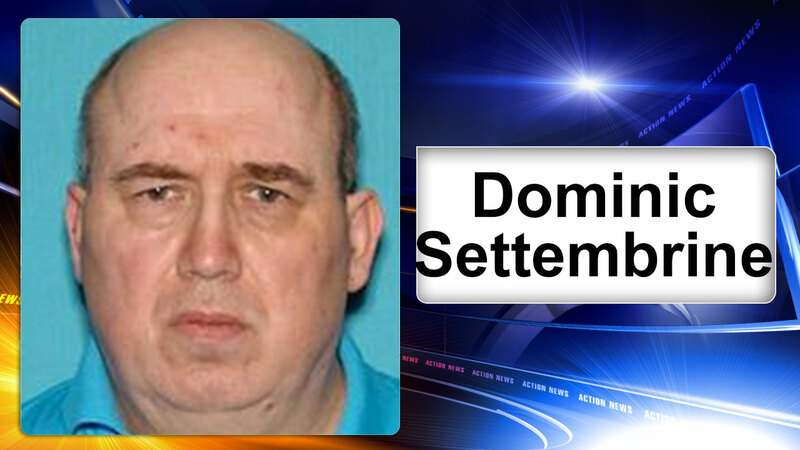 Fifty-nine-year-old Dominic T. Settembrine was last seen leaving his residence on New Freedom Road. Police were told Settembrine does not drive and rarely leaves his apartment complex. He is described as 6'0" tall, approximately 300 pounds. Police say he suffers from schizophrenia. Settembrine was last seen wearing a dirty brown winter coat, and gray/blue basketball shorts. Anyone with information is asked to call 856-783-4900.